The DS-U2-GK satellites were Soviet geophysical research satellites launched as part of the Dnepropetrovsk Sputnik program. These satellites were used to study the density of air in the upper atmosphere, investigate aurorae and ionospheric plasma motion. 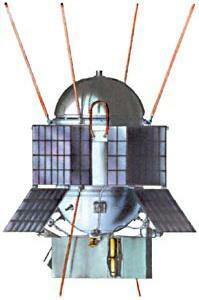 The first satellite of this type, Kosmos 261 was launched on 19 December 1968 on a Kosmos-2 booster from Plesetsk. It decayed from orbit and reentered the atmosphere on 12 February 1969. The second satellite of this type, Kosmos 262 was launched on 13 June 1970 on a Kosmos-2 booster from Plesetsk. It decayed from orbit within a few weeks of its launch, reentering the atmosphere on 25 July 1970.